Media Size: 4" x 6.75"
Memo book contains 100 white sheets ruled on both sides. Design features perfect binding and a flexible black cover. 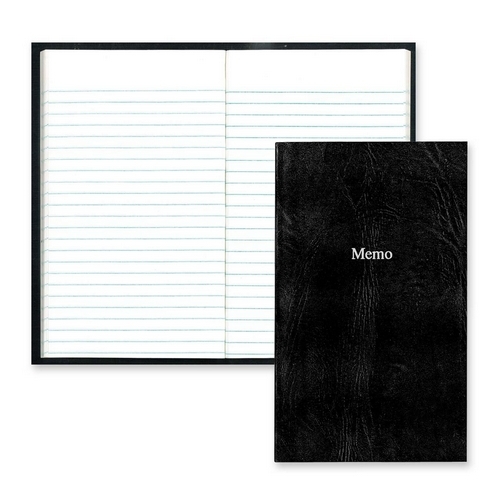 $25Tops Gummed Memo Pads - 5" x 8"
$10Tops Gummed Memo Pads - 3" x 5"
$11Sparco Plain Memorandum Pad - 100 Sheets - 4" x 6"
$16Tops Gummed Memo Pads - 4" x 6"
$25Tops Second Nature Memo Pad - 5" x 8"
$21Sparco Plain Memorandum Pad - 100 Sheets - 5" x 8"